Your smile makes an immediate visual impact on anyone you come into contact with. For this reason having bright, white teeth is ideal. It radiates the impression of youth, health, and happiness that draws people in. For these reasons, more and more people are interested in teeth whitening. It is a simple cosmetic dental procedure that can greatly improve the appearance of your smile. Teeth whitening helps to lighten teeth and remove stains and discoloration. On a daily basis, a thin coating called a pellicle forms over tooth enamel. As this layer forms, stains are picked up and the enamel holds on to these stains. Stains can be a result of a variety of daily habits including poor dental hygiene, drinking dark colored beverages and using tobacco. Aside from surface stains, discolorations can also occur inside of the teeth. These stains, also referred to as intrinsic stains, can occur as a result of using antibiotics, overexposure to fluoride or trauma. Although this procedure can be done on both surface and intrinsic stains it is more effective on surface stains. Before teeth can be whitened preparation has to be done. Initially, your dentist will have to address any dental problems present such as cavities. This is because the whitening solution can pass decayed areas and reach the inner parts of the teeth. Next, the dentists will take photos of your smile to monitor progress and do an examination. Following the examination, a cleaning will be done. After the cleaning is complete the whitening procedure can begin. During the whitening procedure, the dentist will begin by applying a shield or gel on your gums to protect them. Then the bleaching agent will be applied to the teeth. 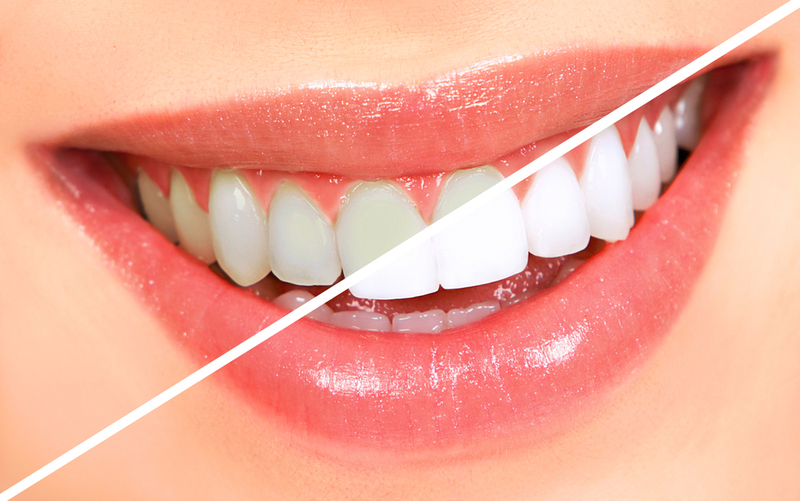 Once bleaching agent is applied a laser or light will be used to speed up the whitening process. Vital whitening is the most common form of teeth whitening performed by dentists. As mentioned above, it involves using a bleaching agent accompanied by light or laser activation. Vital teeth whitening can take anywhere from 30-90 minutes in the office. This type of whitening is only a temporary solution and will require re-whitening to maintain a bright, white smile. Treatment should be done every 6-12 months. Nonvital whitening whitens teeth from the inside. It is done by placing a whitening agent inside of the tooth and covering it with a temporary filling. It will then be left for several days until the desired shade is achieved. This method of whitening is only needed when the patient has discoloration as a result of a root canal. Unlike vital whitening, only one treatment is needed. Overall, teeth whitening is a wonderful way to improve your smile. It is so easy to remove stains and discoloration. 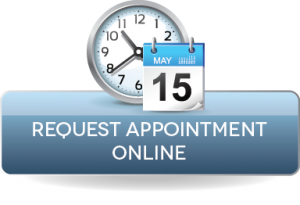 All you need to do is schedule an appointment with a great dentist. If you are looking for quality dental care that you can trust the dentists at Lasting Impressions Dental Spa are the best in the area. You will leave happy after every visit. Schedule an appointment today.